Muddy Elephant are a four pieced alternative, indie rock band from Cheshire. 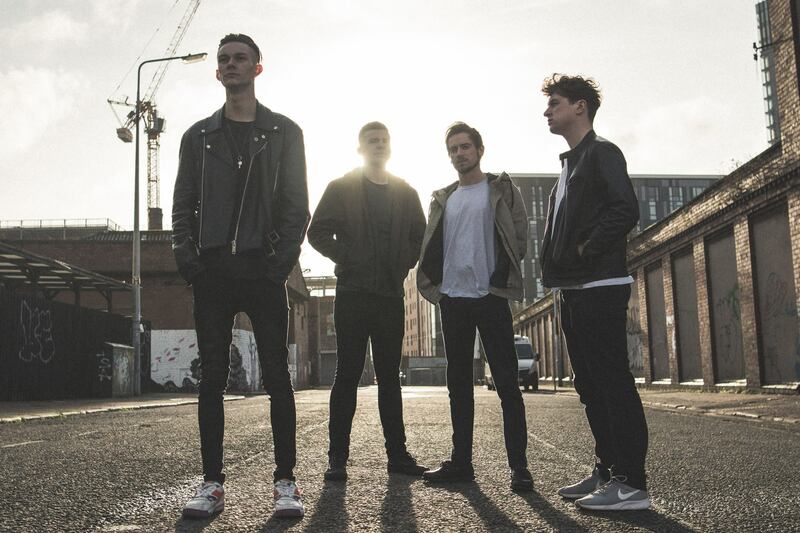 After receiving a great reception from local gigs, they released their debut single ‘Free’ which has been played on BBC Music Introducing in Merseyside. Playing feelgood indie pop with a sprinkle of 80’s Nostalgia Ted’s love for 80’s music and old school UK bands helped create his unique take on indie pop music. Quietly working away Ted musical obsession finally emerged out of John Hurt’s chest like Alien, exploding all over the music scene. Rob Crampton is a Manchester based Singer Songwriter releasing his upcoming EP ‘Chasing Fireflies’ on the 21st of March at Night and Day. His musical style has been likened to songwriters such as Bruce Springsteen and Bob Dylan with soulful vocal delivery and heart felt lyrics. Stray One is a collaborative project between Too Cool Kid frontman Jay Plent and pianist/drummer Ben Harris. Formed in Manchester, the duo create carnivalesque music that combines ferocious musicianship with esoteric lyrics, calling to mind influences as diverse as Foals, Everything Everything and GoGo Penguin. Their first single Run Too Far garnered positive praise, being called ‘provocative’ by Bitter Sweet Symphonies. The new single Remembering In Colour is a rich, textured and unusual blend of polyrhythmic drums and dancing piano lines, an apocalyptic waltz that’s as memorable as it is emotionally heavy. Recorded in a rickety old house in Manchester, the band’s DIY spirit and craftsmanship is most visible on this track.